Convert AVI to almost any video formats, such as MP4, M4V, WMV, MKV, FLV, MOV, MPG, MPEG, VOB, 3GP/3G2, H.264, ASF and more, including HD or 3D video formats. Vice versa (Convert video to AVI). Quickly share videos to YouTube, Facebook, Vimeo, etc. 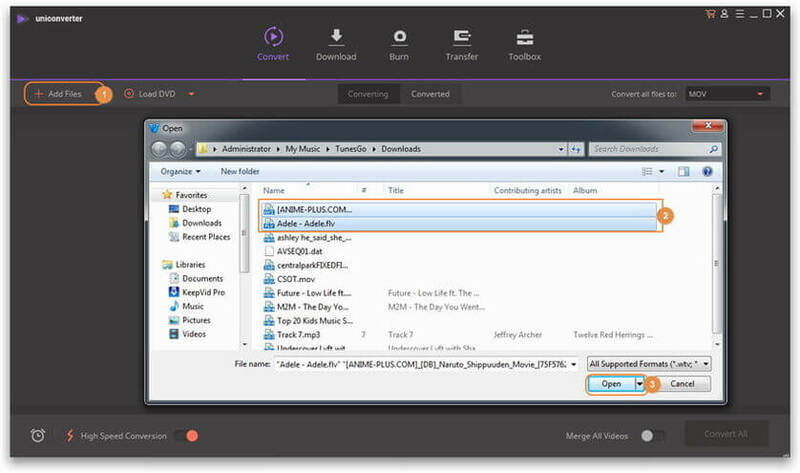 Just download and install this smart AVI video converter for Windows 10 via the download button below to help you convert AVI to or from nearly any popular video for uses. Free download and install this AVI converter for Windows 10, and then launch it. 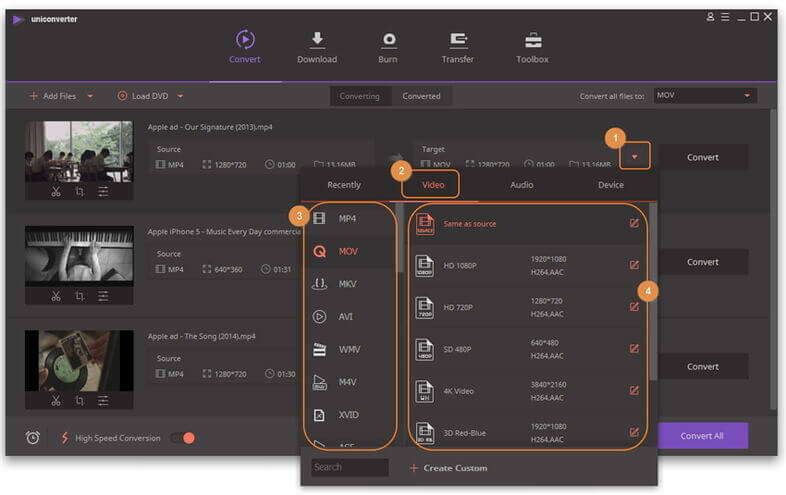 Then, Navigate to the folder where the local video files are stored, directly drag your wanted video files to this program for video conversion. Or you can also click the menu to import your local video files. For converting video to AVI, you can select AVI as the output format. If you import AVI and want to convert AVI to other video formats, just import AVI files in step one and here select your wanted format. To do it, click the icon on the right side of the Target section. Then select Video, Audio or Device tab in the top and your desired output format as well as resolution downside. If need, you can go to here to learn more editing tips with this app, such as cropping, cutting, merging, rotating videos and add video effect, etc. Click Convert or Convert All button on the primary interface to start converting AVI to or from other video formats for uses. When it’s done, you can switch to the Converted tab and click the folder-like icon to find the converted files. That’s all.